When a child is big for a crib, it has to go bye-bye. It's time to transition your toddler into a new bed. This is the time when you're looking for a twin size bed that is durable, safe and stylish. Your kid will love the space and comfort. If your child is a wild sleeper and moves around a lot. 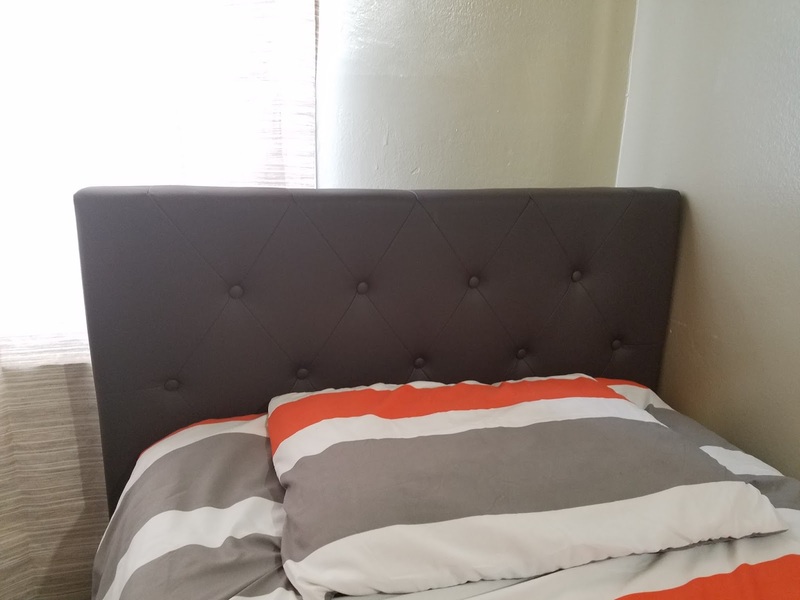 You can purchase side rails for the bed. Childproofing is important for safety. Have patience with your child. 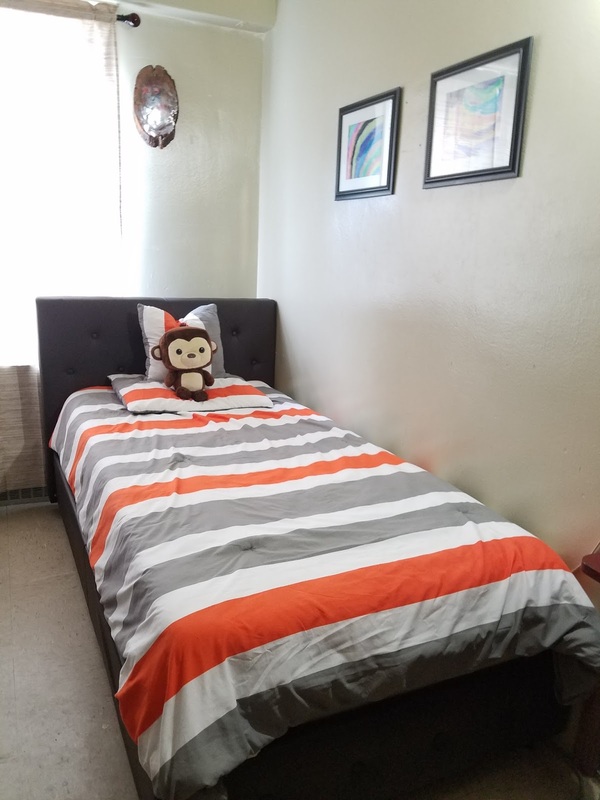 Kids can get excited over their new bed. They will want to get in and out of bed many times. DHP Furniture has the perfect twin bed for a toddler. 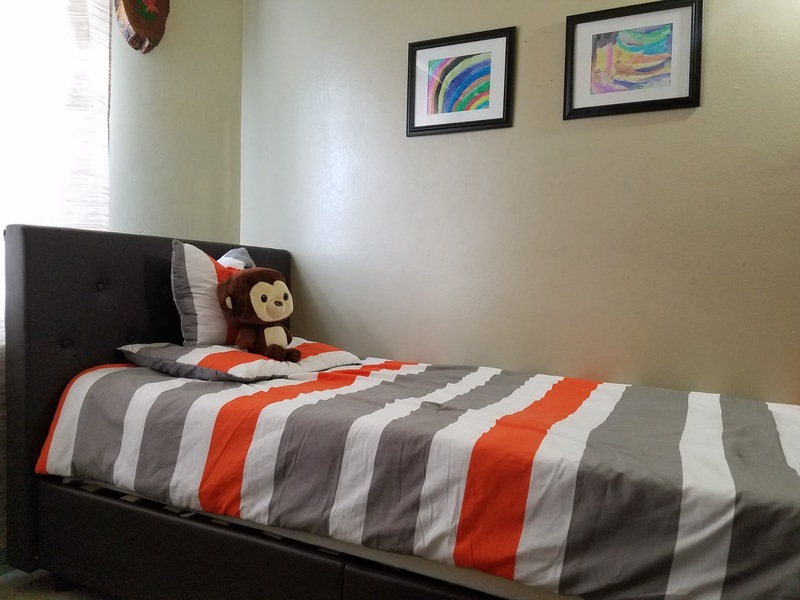 DHP can help transition a child into a big kid bed. We came across the Dakota Upholstered bed. The bed comes available in colors white, black and brown. Are you looking for a quality and contemporary bed style? The Dakota Upholstered bed can be used for toddlers, older kids, teens, and adults. This will last you for many years to come. The Dakota Twin Bed has a luxurious upholstered headboard providing quality and a contemporary kid's room style decor. The kid's painted their own artwork and framed it to the wall. A wall decal was added to complete the design. Transitioning a child to a big kid's bed should be fun. When you add decor to space makes the child feel comfortable and adjust to their surroundings. DHP Furniture provides comfort, style, quality, affordable prices and luxury. Take a look at their Datona Bed and other products at dhpfurniture.com. This is so cute!! It's always a nice thing to document 'advancements' such as this with kids — it may not be much, but it is. All the best to you guys! 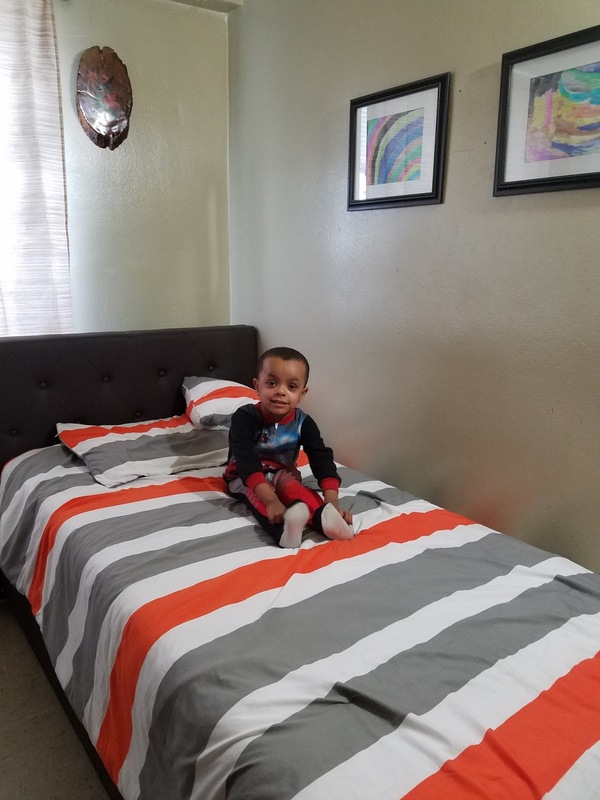 This post brings back so many memories from when we transitioned our son to his big boy bed! It went so much smoother than I had anticipated! I am about to go through the same process as you with my child. I love the headboard on this bed as it is a style that I like. Every time I got rid of a crib, I got a little bit weepy. I haven't had a kid in a crib for about three years now, and I still get a bit nostalgic. Such a cute bed your little one has!